After the release of DanceStar Party, London Studio returns with the sequel DanceStar Party Hits. The Playstation Move dancing video game adds 40 new tracks and an abundance of new moves and routines to keep the game fresh. While the first game was hailed on this site for its solid gameplay, good selection of game modes and the variety of the tracks selected. Does this sequel make you want to dance again? Here is the review. The gameplay for DanceStar Party Hits revolves around one thing: dancing. There are an abundance of routines to dance to, depending on the song chosen and the difficulty the player undertakes. There are four difficulties rating and the amount of moves and their accuracy increases when the difficulty level cranks up. The Playstation Move is accurate, capturing moves and rewarding the player for their work. The routines are new, fit for every song added to the game. It’s good to see new moves, but I’m playing the first game. There are several modes of gameplay that have been included in the game, all revolving around the act of dancing. Dance Now is the quick play mode, suitable for the single player experience. All the player does is pick a song, difficulty and how long they want the song (and their routine) to last for. 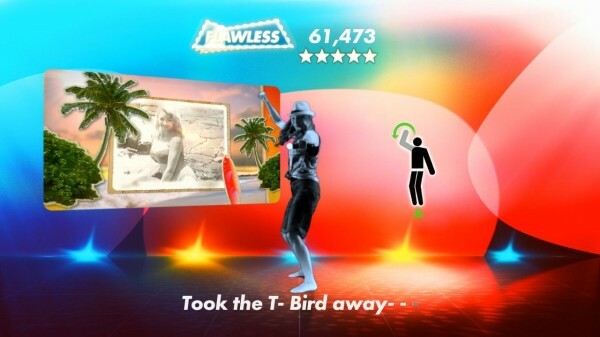 Players can choose to dance through the whole song or go through a shorter version for a quick dance routine. Players play for points and a star rating out of five. Once the player completes the routine, then they may share their recording as well as their score via Facebook and Twitter. Snapshots can also be taken during the routine. Party mode is where the multiplayer experience shines. The two main modes either involve competitive gameplay or co-operative gameplay. Competitive involves the battle of the dancers, vying for accurate movements for the extra points and a better star rating. But, if the preference is for team play, then players can opt playing a co-operative game. 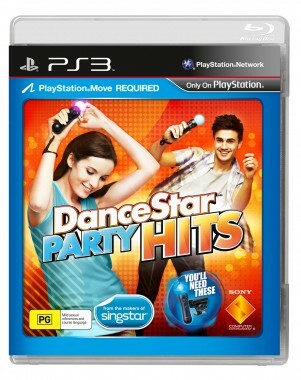 Only two players with Playstation Move can dance, but another eighteen players can join the fun as singers. Using a microphone that is Playstation 3 compatible, friends can sing their heart out. There is still no online multiplayer, however. This is disappointing, as it would have added to the experience. Then there are the three other modes of gameplay, all listed under the Dance Studio option of the main menu. 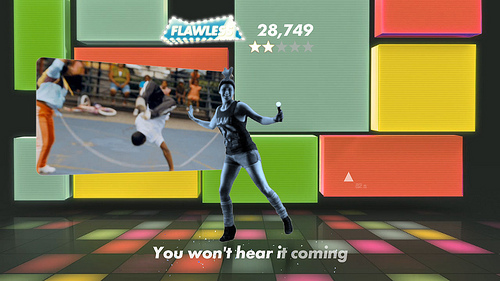 Dance Creator allows the player to create their own routines using the Playstation Move. Dance Class is a training mode for all of the songs. Difficulties can be set and the songs are broken down into different sections, like the bridge and chorus. Dance Workout is in fact for those who want to lose calories and groove to the music at the same time. It tracks how much one loses during the routine of three or four songs, with the calories counter at the top of the screen. The game also tracks the amount of calories the player loses over the month. Considering that this is a dancing game, the selection of the music tracks is once again quite important. Well… it caters for everyone. The game features 40 tracks, just like the first game, with the ability to add more via the Playstation Store. What makes it impressive is that the range of tracks varies and don’t adhere to one genre. Expect tracks from the 80’s, 90’s and the present day. Artists that made the list include modern artists such as Lady Gaga (making a second appearance), Kelly Clarkson, One Direction and Chris Brown. Of course, for those who want a bit of 80’s glamour, there are tracks from artists such as KC & The Sunshine Band, John Paul Young and Run DMC. With such a diverse list, players will not be disappointed with the abundance of different tracks to dance to. In addition to the 40 songs available on the disk, additional songs can be purchased and downloaded via the Playstation Store, furthering expanding the track list for players to dance to. As with the first game, expect to purchase songs in packs rather than individually. There is also the question as to whether one can import the songs from DanceStar Party. The option does not exist, although, if it did, it would require the importation of all of the routines would have to be considered. It would also make the first game redundant in a way. While DanceStar Party impressed me as someone who rarely didn’t play dancing games, DanceStar Party Hits wasn’t so much on the mark. 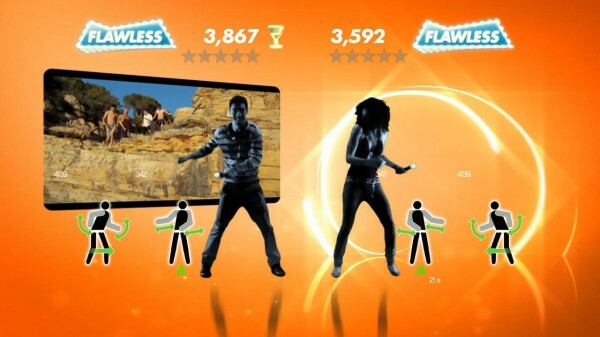 It is still a solid dancing game as it is DanceStar Party with new moves and new tracks. Of course, one can’t simply fault the game as the core mechanics of a dance game must remain the same. But, there were a few missed opportunities, such as online multiplayer, to distinguish it from the crowd. Having said that, if you want to experience new tracks and new routines, by all means, pick it up.